Want to see more stories like this on Illinois Matmen? Please consider making a donation to our GoFundMe campaign where all funds raised will go directly towards original content on this site. Bradley Gillum knew he was going to be a part of something special. 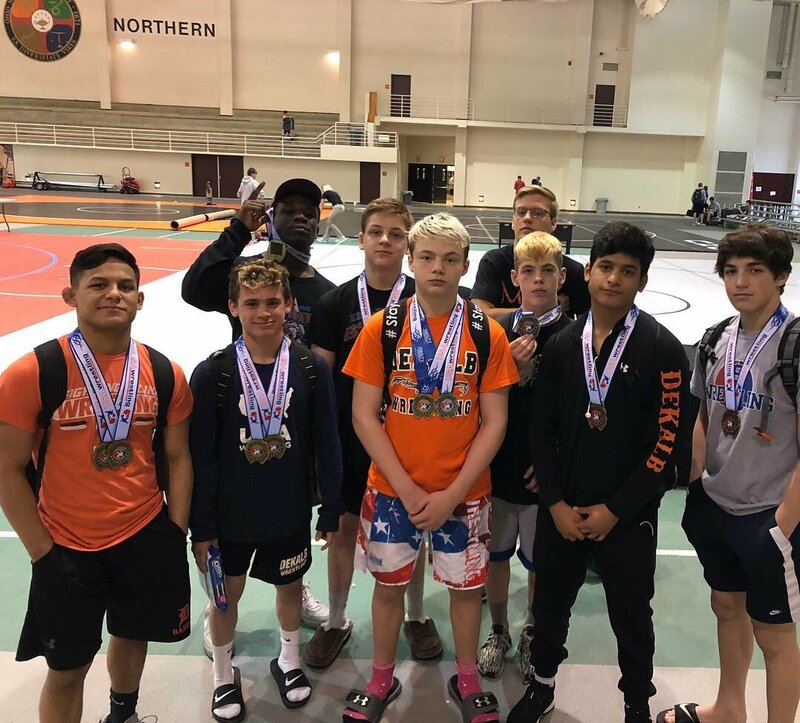 The Class of 2022 is loaded with talent for DeKalb wrestling, and several of the freshmen are already making a big impact. “This is a year that DeKalb has been looking to for a while,” Gillum said. “We’ve been bringing in a lot of good kids the last few years and the team keeps getting better. Gillum at 145 pounds, Damien Lopez at 138, and twins Tommy (113) and Danny Curran (120) have cracked the Barbs’ starting lineup as freshmen and are all having success for the No. 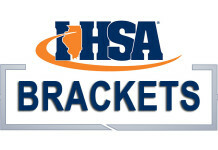 6 team in Class 3A. “We’ve got a really good freshman class,” DeKalb coach Sam Hiatt said. “There’s even some freshmen on JV that were past IKWF state champs, but we’ve got a pretty full lineup and there’s only 14 spots. Gillum (10-1) has made the biggest statement thus far, climbing to No. 6 in Illinois Matmen’s rankings. 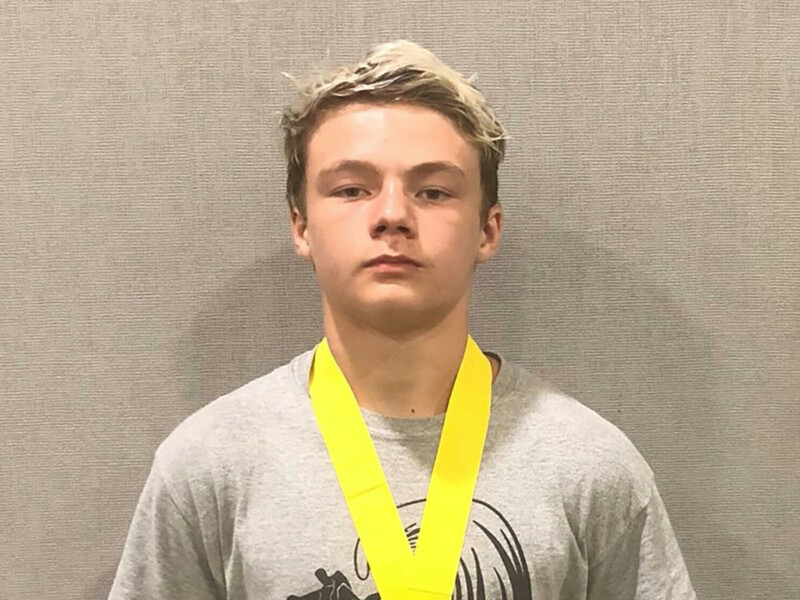 An IKWF runner-up as an eighth grader, Gillum has already beaten three past state qualifiers. He earned an 11-3 major decision over West Aurora’s Johnny Acevedo in the first match of his high school career. Gillum followed that up with a 5-4 win over Rochelle’s Eddie Villalobos – the Class 2A fifth-place finisher at 138 last season – and a pin of Lincoln-Way West’s Payton Geigner. “I just go out there and let it fly,” Gillum said. “I go out there and show them why I’m on the team and what I can do. Gillum went 2-1 at Saturday’s Oak Park-River Forest quad as the Barbs did the same, beating 2A No. 1 Washington 38-25 and Providence 63-16 and falling 39-30 to No. 4 OPRF. Gillum beat Washington’s Donald Hidden by tech fall and pinned OPRF’s James Murphy in 2:49 before suffering his first loss as a Barb, falling in a 10-1 major decision to third-ranked Josh Ramos of Providence. Hiatt was been impressed with Gillum. 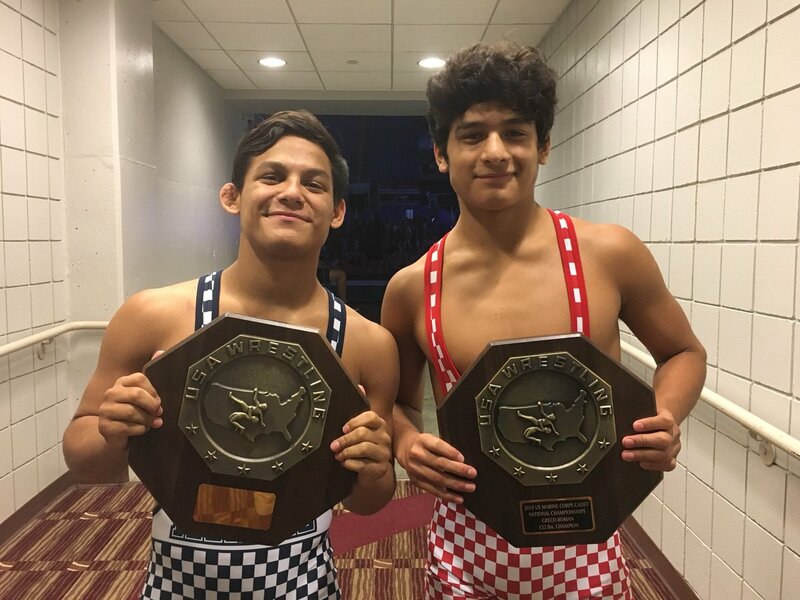 Damien Lopez, an IKWF state champion and the younger brother of Fabian Lopez, last season’s 126-pound state champion, entered his high school career with big expectations for himself. Damien Lopez, an honorable mention in Illinois Matmen’s rankings at 138, is off to a 4-2 start including a 19-6 major decision over returning state qualifier Garrett Geigner of Lincoln-Way West. He went 2-1 Saturday, pinning Washington’s Hunter Mamer and Providence’s Peter Pavlopoulos and falling 14-5 to OPRF’s Torry Early, a fellow honorable mention wrestler. Damien Lopez said all the freshmen have had to make an adjustment to high school wrestling. “It’s a lot of fun, but it’s also a challenge,” he said. “We’re not wrestling other freshmen. We’re wrestling guys with more experience and a higher maturity level. The mental game can be just as important for the young wrestlers as the physical preparation. “It’s a feel thing,” Damien Lopez said. “You practice and then you go out for a match, and it’s different than when you were younger. More’s on the line. You don’t want to let your teammates down. Tommy and Danny Curran each went 1-2 against tough competition Saturday, but Hiatt is excited about both twins. Tommy, an IKWF state champ and a Greco-Roman gold-medal winner at the 2017 Cadet Pan-Am Games in Argentina, is up to No. 6 at 113. He battled hard with Washington’s Abe Hinrichson, a returning 2A state-runner up, before falling 5-4, and was pinned by returning state champion Jacob Rundell of OPRF. He received a forfeit in the dual with Providence. Danny Curran, an IKWF runner-up last season, lost major decisions to Washington’s Joey Cape – No. 1 in 2A – and No. 6 Nico Bolivar of OPRF, but bounced back to pin Providence’s Nick Matthias in his final match of the day. 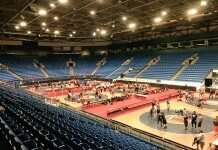 “The Currans work hard all year-round and they’re very dedicated, talented wrestlers, Hiatt said.